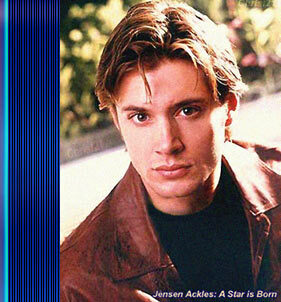 WELCOME TO CHRISTINE'S JENSEN SITE! This page has been visited times since January 9, 1999. Coming Soon, some new site designs, new features and all the latest on Jensen's projects including his new hit show Supernatural! The site has been archived far too long. Look for regular updates in the coming weeks and months. In the meantime catch Supernatural on the WB on Tuesdays and Sundays if ya miss it! Check local listings for times in your area. Did you know Jensen stars in the film DEVOUR available on dvd! Jensen plays Jake Cummings, in this twistedly scary new film about a bunch of college students who allow evil to enter thier lives through an addictive game. Extra bonus, Jensen was the executive producer for the short film, The Plight of Clownana which won the Newport Beach Film Festival's Audience Award for Best Short Film in 2004. The entire film is done with voice over acting, including Jensen's. Best viewed with 4.0 browsers!